Leadspace partnered with Marketing Profs and Jon Miller, CEO and co-founder of ABM platform Engagio, in this free webinar to discover what ABM is, how it works, and whether or not the hype is justified. We'll give concrete examples of how other companies are using it and succeeding, and how you can too. Why are B2B marketers drowning in a sea of bad data? In this live-recorded webinar you will find out how Symantec were able to tackle their data challenges so that they could focus on driving revenue. Webinar - CDP: Is it Really Your Single Source of Truth for Sales and Marketing? 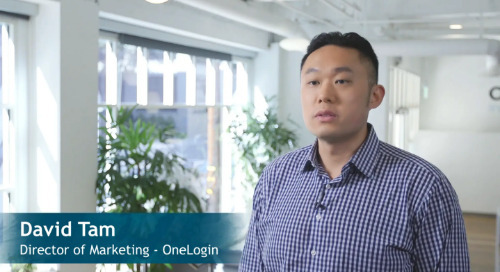 OneLogin used Leadspace & Bombora to combine data, AI and intent signals to double email reply rates, increase email open rates 60% and close more, higher-value deals in less time. Leadspace CEO Doug Bewsher explains why AI-powered Customer Data Platforms (CDPs) are such a game-changer for the world of B2B Marketing.